To promote leadership and vision for Springfield by bringing together the community for open dialogue and civic engagement, the Springfield City Club provides its members with thought provoking programs and discussions of community issues. Merlyn Hough was the International President of the Air & Waste Management Association in 2012 and the Co-President of the National Association of Clean Air Agencies (NACAA, the organization of state and local air directors in the U.S.) in 2015. Merlyn also serves as Co-Chair of the NACAA Agriculture Committee and was recently appointed to a two-year (2016-2018) term on the USDA Agricultural Air Quality Task Force. Merlyn and his wife Martha have five children and eight grandchildren. The family enjoys running, walking and cycling on the paths around Eugene, and flyfishing the streams and lakes of Oregon. Martha and Merlyn are currently experiencing (since September 2013) the joys of driving electric vehicles. 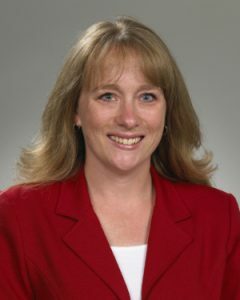 Merlyn Hough is the Director of the Lane Regional Air Protection Agency (LRAPA) in Springfield-Eugene, Oregon, responsible for overall direction of the regional air quality agency for Lane County. 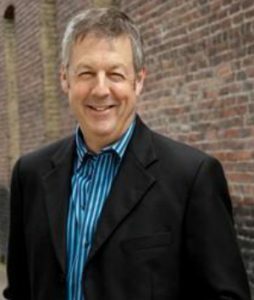 Before LRAPA, he worked as environmental program manager (1994-2005) and senior environmental engineer (1981-1994) for the Oregon Department of Environmental Quality in the air quality and waste management programs. Merlyn is a professional environmental and civil engineer, with B.S. and M.S. degrees from Oregon State University and the University of Portland. He is a Trustee of the American Academy of Environmental Engineers & Scientists and a Fellow of the Air & Waste Management Association. Joe Leahy is a partner in the firm of Leahy, VanVactor, Cox and Melendy. His expertise includes all aspects of public law. His private practice focuses on municipal/local government, real estate and land use. Joe served in the U.S. Army (Vietnam), was a trial attorney in the Land and Natural Resources Division, U.S. Department of Justice, and the Lane County Office of Legal Counsel. 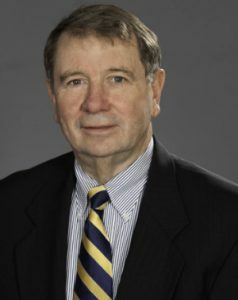 Joe grew up in Astoria, earned his undergraduate degree from the University of Oregon (1965), and his law degree at the University of Notre Dame (1970). He is admitted to the Oregon State Bar, is a member of the Lane County Bar Association and the Oregon State Bar Association. 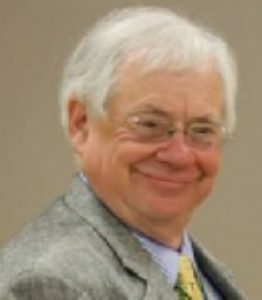 He has served on the Boards of United Way of Lane County, Lane County Legal Aid Service, University of Oregon Alumni Association, SMART, Springfield Area Chamber of Commerce, Eugene Arts Foundation, Emerald Empire Art Association, Springfield City Club, Astoria Ferry, Springfield Renaissance Development Corporation, and past Campaign Chair for Springfield Education Foundation. He also volunteers legal services for Habitat for Humanity. Joe and his wife Judy enjoy spending time with their three sons, daughters-in-law, and grandchildren Elie Rose, Kateri, Benjamin, and Alexa. 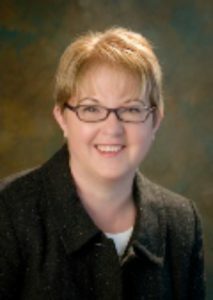 Kristin Denmark is an attorney and shareholder with the law firm of Thorp, Purdy, Jewett, Urness & Wilkinson, P.C. Her law practice primarily focuses on business, real estate, estate planning, and local government law. Kristin has been an active member of the community since moving here nearly a decade ago. 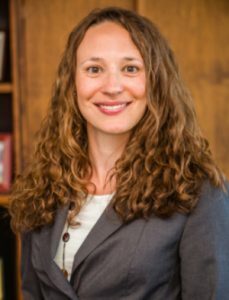 She has volunteered for various committees and positions with the Lane County Bar, Lane County Women Lawyers, and Lane County Legal Aid. Outside of work, Kristin enjoys spending time with her husband and their young daughter. Bob Fondren is the Director of Management Information Services at Springfield Utility Board. Bob is on the Board of Directors at the Springfield Chamber of Commerce and the Chair of the Government Issues Committee. Bob is a member and past president of the Springfield Twin Rivers Rotary club and on the steering committee for the Gift of Literacy. Len Goodwin operates a consulting practice supporting local governments. Before that, he served as Director of Development and Public Works for the City of Springfield, and worked in the City of New York for City University of New York, The City of New York Office of Municipal Labor Relations, and the New York State Financial Control Board, where he was First Deputy Director and General Counsel. 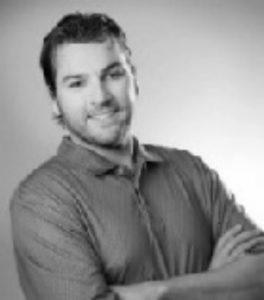 Len holds a bachelor’s degree in Political Science from the University of California, a J.D. from St. John’s University and a Masters in labor law from New York University. 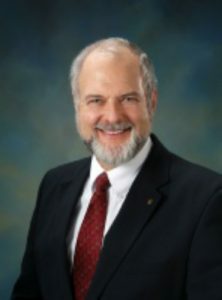 He is an inactive member of the Oregon Bar and a number of professional Organizations, as well as serving on the League of Oregon Cities Cable TV and Telecommunications Committee and the General Government Committee, the Veneta Planning Commission and the Veneta Economic Development Committee. 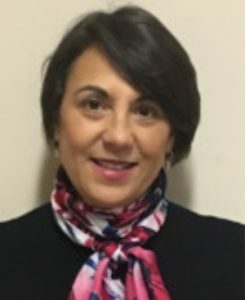 Elizabeth “Terry” Beyer is a lifelong resident of Springfield, graduating from Springfield High School and attending Lane Community College. Terry has been a community activist most of her adult life. She volunteered in Springfield’s schools and has served on numerous civic committees. She was a PTA President, served on the Springfield City Council and most recently was Springfield’s State Representative for 11 years. Currently Terry is a member of the Springfield Rotary Club and a board member of the Springfield Education Foundation and a member of the Belly-Full Board, feeding children in Springfield. Terry has been married to Lee Beyer for 48 years, has raised three children, and is spending as much time as possible enjoying her four grandchildren. 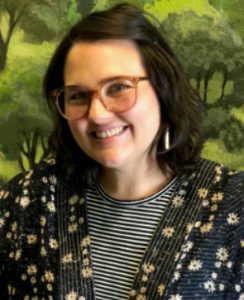 Mackenzie Karp is the Grants and Communications Manager at Neighborhood Economic Development Corporation (NEDCO). She is passionate about housing, economic development, and social and economic justice issues. She holds a Master’s degree from the University of Oregon in the History of Art and Architecture with a major research focus in 20th century affordable housing design. Mackenzie is active in the community, serving on the Springfield Historic Commission and as a board member for Emerald Village Eugene. She remains involved in the field of architectural history and currently serves as editorial assistant for the Journal of the Society of Architectural Historians. Carolyn Miller was born in Michigan on a dairy farm. My Dad worked in a paper mill and since no one my family had ever attended school past 8th grade, college felt a bit like living on Mars. I was married and gave birth 2 boys 13 months apart. My husband died of a brain aneurysm when my children were 5 and 6 years old. Luckily a community college had recently opened and while I was scrubbing the floor in the kitchen one day, I heard the Community College commercial on the radio that offered help to “displaced” women. With a child attached to each hand and shaking with fear, I visited the counseling department. I eventually graduated with a B.S. in Psychology, Biology, Mathematics, and Education from Western Michigan University. While finishing an M.S. in psychology, I fell in love with computers and completed a M.S. degree in computers. I was interested in mapping the function of the human brain in the computer Using Artificial Intelligence, Fractal Geometry, and Neural Modeling. My doctoral research involved the examination of the learning processes of the human brain. After completing my doctorate, I taught full time at the university in the computer science department and formed my own counseling clinic. After my two children completed their Master’s degree and had relocated to San Francisco and Denver, I guess I had a mid-life crisis and decided that I had one more adventure left in me. Since my Dad had always wanted to move to Alaska, I thought I would fulfill his dream. Working with the native health organizations in Alaska was wonderful with lots of latitude for creativity. It was magical. I worked on the northern coast where sundown is October and April gave birth to the sun. I wrote tons of grants to bring computers to the villages, grieved with those ocean front natives that were forced to move because of rising waters, and presented workshops to the 22 village school systems advocating for experiential education (How do you tell how tall a tree is by its shadow?) I wrote tons of grants, gave enumerable wellness conferences, and attended almost all the funerals of the villagers, mostly suicides. My life was punctuated by the 3 AM phone call to rush to a small bush plane departing to the latest emergency in some village. Adding excitement to the whole experience was the weather: winds at 80 mph and temperatures south of minus 40 degrees. Well past retirement age, my children urged me to retire to Oregon because as college students, they would travel to the Oregon Country Fair each year to hear the Grateful Dead. They thought Oregon suited me. Nearly three years ago, Steve Moe and I began Skyping every night for 2 or 3 hours. Two years ago, we purchased a wonderful home on Kelly Butte. In Steve and Springfield, the universe has given me the most miraculously loving and exciting of gifts. I am a profoundly grateful soul. Callie Berry Elliot was born in the beautiful small town of Lakeview Oregon. I spent most of my younger years and education in Eugene. I graduated from Marist High School, attended both Oregon State University and University of Oregon. I graduated from University of Oregon with a BS in Psychology with a minor History. I went to work for Pacific Continental Bank in September 1994, I have been the manager of the Springfield/Gateway Office for 19 years. I am very proud of Pacific Continental Bank’s strong commitment to the Springfield community. As of November 1, 2017 Pacific Continental Bank will become Columbia Bank. I am proud to represent Columbia Bank and their commitment to continuing a strong involvement in the Springfield community and its success. I am a proud member of Springfield Rotary and the Springfield Leadership Workshop committee. I reside in Albany and have been commuting to Springfield for 16 years. My immediate family includes my husband, Steve and my daughter Ellie (7 years old). I enjoy sports, eastern Oregon and spending time with my family. Therese Lang currently serves as the Public Information Officer for Lane Transit District, (LTD) and has a combination of news reporting and public relations experience (20 years), with an emphasis in transit, energy efficiency, sustainability, travel and hospitality and economic development communications. 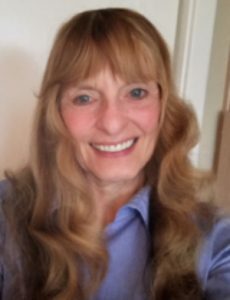 Recently she completed her Master’s degree in Communication Studies and served on the Board of Directors for the Portland chapter of the Public Relation’s Society of America. Therese grew up in Springfield and attended Marist High School as well as the University of Oregon. When she’s not working, Therese enjoys gardening, reading and antiquing. Nick Nelson was born in California, but soon after, began a whirl wind of adventures with my family moving over 50 times in my life. Moving around made me adaptable and comfortable in my own skin. I have two college degrees and have tested the waters in a variety of professions. After relocating from Alaska to Oregon, my wife and I purchased a few rental properties. I always had an interest in the investment aspect of real estate and decided to work in the industry that I have invested in for my family. At a young age I began volunteering and that tradition has continued into my professional life. I have been a board member of many organizations including Chambers of Commerce, and volunteer at variety of community events.